Now that Manchester City have officially sealed the title in England and Real Madrid have put Liverpool in their place and reasserted their dominance in Europe—with more than a little help from Judas Iscariot in the red goal—all eyes turn to Russia. It is time to crown the real kings. So who do you think will win the 2018 world title? Who do you want to win the World Cup? 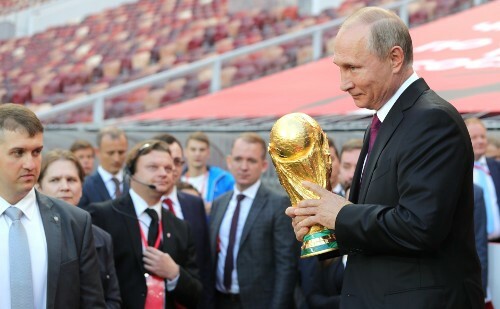 Photo: Russian President Vladimir Putin holds the World Cup trophy for which 32 nations will be vying in his country between June 14 and July 15. Wired868 put those two questions to a large panel of footballers, present and past, male and female, football officials, football coaches and mediamen. And, for good measure, we even tossed into the brew a few politicians and a couple of people who may never have kicked so much as a lime. Over the next few weeks in the run-up to the June 14 kick-off of the 2018 tournament, we shall be sharing their thoughts with you. It is our hope that all contributors will answer the two essential questions above but that their answers will come as part of a wider discussion about World Cup football on the whole. And because the World Cup always puts us here at Wired868 in generous mood—we live for the oxygen of high quality football although we also cover a lot that doesn’t quite qualify—just for today, here is some free advertisement: The prescribed dosage of our Moscow 2018 Countdown medicine is as it is for Redoxon’s Vitamin C tablets or Seven Seas Pure Cod Liver Oil capsules: one a day! Appropriately, Wired868 starts the ball rolling today with a contribution from Francis Warner, the person whose Letter to the Editor, we published earlier. With its radical proposals for improving the World Cup Finals, we hope it will set the tone for all those to follow. Warner, by the way, is still called “Tele” by QRC students who were at school when Tele Santana coached Brazil in 1985-86. 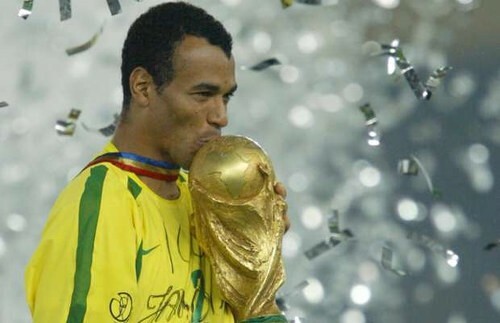 Photo: Then Brazil football captain Cafu lifts the World Cup trophy in 2002. All things being equal, World Cup 2018 is going to be a feast fit for a king. There are seven or eight teams brimming with talent, genuine title contenders all. But I’m going with Brazil. Guardians of the beautiful game and keepers of the flame, Brazilians have always been the ballerinas, the divas, whose flair and artistry generate genuine joie de vivre among football connoisseurs. They are to football what Muhammed Ali was to boxing, what Sparrow was to calypso and what Garry Sobers was to cricket; they are football largely consistent cordons bleus from whose recipes come the most mouth-watering meals. They can lift you to the loftiest mountaintop… or take you down to the deepest depths of the ocean, such as Socrates’ team’s deeply disappointing Group C decider loss to Italy in 1982 or that oh so humiliating 1-7 loss to Germany in 2014. 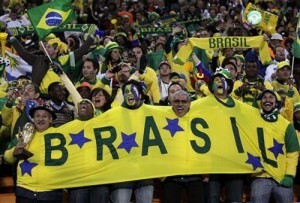 Photo: Happy Brazilian fans show their support for their team but there are sometimes moments they want to forget. Thanks to Tite, however, we are on the rise again. The new Brazilian coach has brought the swagger back to Samba football and Brazil are once again playing Brazilian football. Under Tite, the team is playing their best football since they last won the title in Japan 16 years ago. There is the flair and the style that won so many hearts in 1982 but underlying it is a pragmatic approach to defence, the absence of which broke so many hearts in Spain and in the final in France in 1998. Not to mention in Brazil four years ago. In 2018, Casemiro and Paulinho give added defensive stability in midfield, complementing a last line that at least has the look of solidity even without the injured Dani Alves. 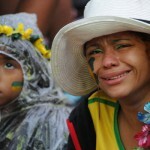 However, Brazil’s embarrassment of riches is not in defence but in attack. Coutinho, Firmino, Gabriel Jesus, Willian and Dougla Costa are all exciting, quality players. And in a fit and ready Neymar, the team has a genuinely world-class player. More than any other World Cup, this one has many teams with the credentials to go all the way and give patrons a real treat. Despite there being no Italian or Dutch food available, the many-splendoured menu looks truly enticing. Photo: Belgium attacker Eden Hazard (right) and Netherlands player Jetro Willems battle for possession during their friendly encounter in Brussels on August 15, 2012. I have a soft spot for England’s football. This year, at least on paper, they have their best chance in years, with a younger, stronger team and a full head of steam. Under Julen Lopetegui, Spain is once again playing like champions; they must have a chance to beat all comers. Belgium has an incredibly talented squad and, guided by Roberto Martinez, this ‘golden generation’ is playing exceptional football. If I may hazard a guess, I’d say they will be at short odds to spring a surprise. Similarly, Portugal and Argentina. In Ronaldo and Messi respectively, they have the greatest players in the world and each has a supporting cast which includes some quality players. Germany are a big competition side who rise to the occasion; they can never be discounted. In addition, this squad is arguably stronger that the 2014 team and are playing well as a unit. One concern, though: they may be without genuine goalscorers. For me, France must be one of the favourites. 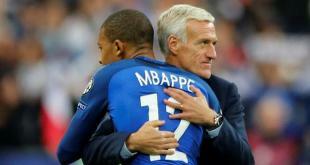 They have an incredible talent pool, perhaps the most talented squad in Russia because some classy players simply could not make Coach Didier Deschamps’ cut. And he has been doing a very good job of bringing the best out of the ones he has chosen. 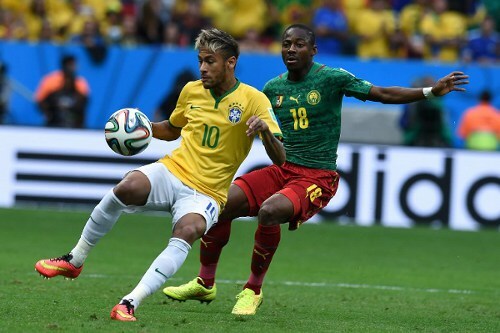 Photo: Brazil star forward Neymar (left) collects the ball ahead of Cameroon midfielder Enoh Eyong in a 2014 encounter . So part of the interest over the World Cup month will be to see which of these eight big teams proves is ‘more equal’ than the others. I am imagining a quarter-final round with all eight of these teams. A feast fit for a tsar? 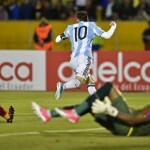 Dear Editor: World Cup needs a top cop; Pele or Beckenbauer? Arsene or Sir Alex? Previous Dear Editor: World Cup needs a top cop; Pele or Beckenbauer? Arsene or Sir Alex?